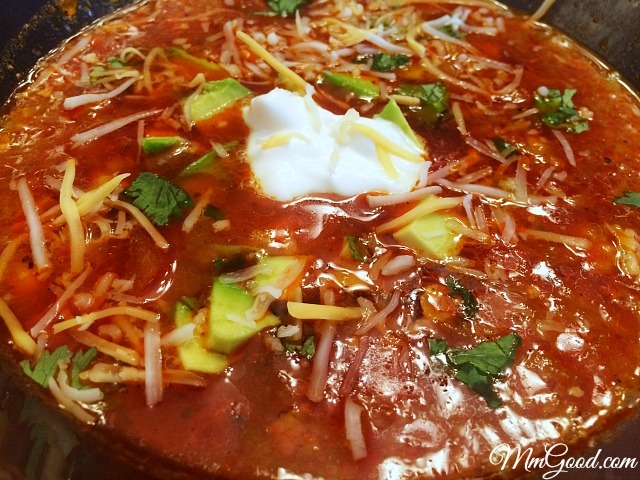 While I have already shared a few taco soup recipes with you, this recipe was so good that I knew it was worthy of sharing it as well, more importantly, I knew that you would love it! This recipe is made with skinless chicken thighs and fresh vegetables and has nothing canned in it! 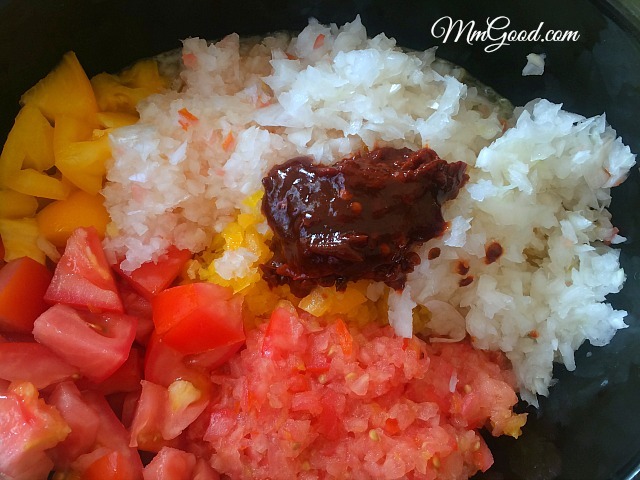 Both of these recipes, I have shared in the past, are great recipes but completely different in flavor. This taco soup recipe tastes more like the traditional/authentic recipe without all the fuss!!!! cover and let cook for 5-6. 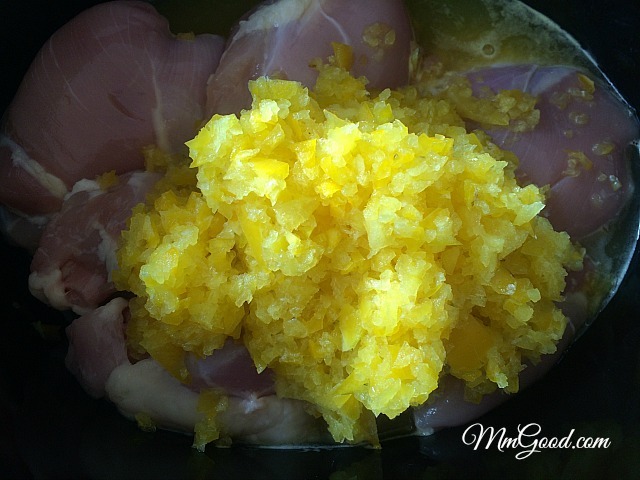 Stir, if the chicken does not shred, remove from crock-pot and shred, place back in the soup. Top with fresh juice from a lime and cilantro. Additional optional toppings when serving: sour cream, avocado and shredded cheese. If you do not own a crock-pot you can cook this on the stovetop, cooking it for 1-1 1/2 hours on low. As you can see from the photo, pureeing 1/2 of the vegetables creates a broth that resembles “tortilla” soup but without the tortilla. 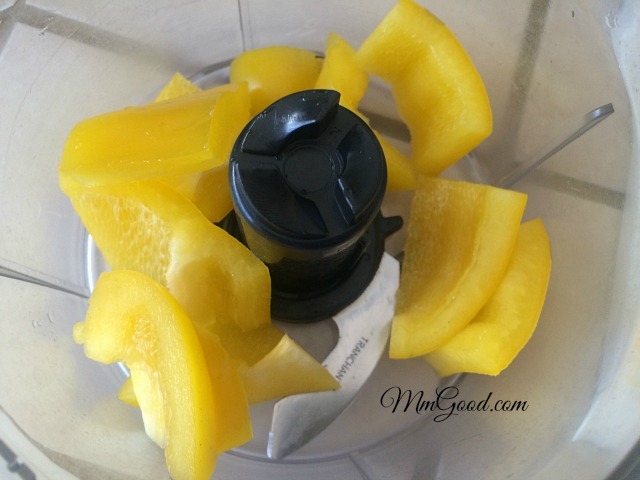 The flavor and texture is there but not the added calories! 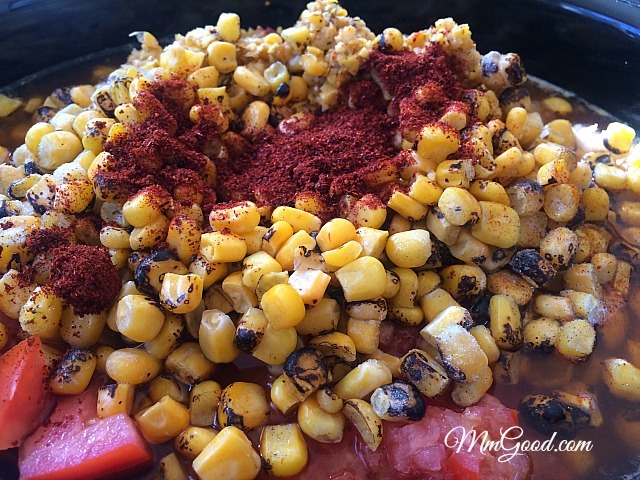 Add chicken to crockpot, add bell pepper, tomatoes, onions, corn, chipotle chilies, taco seasoning, garlic, salt and pepper. Cook for 5-6 hours on low. 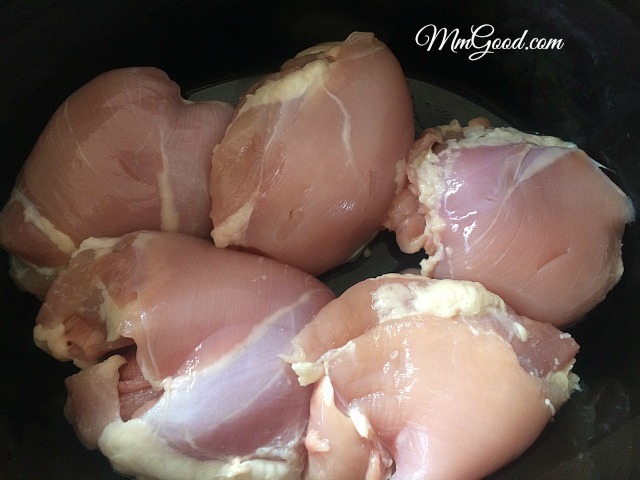 If the chicken has not broken down or is in large pieces, remove, shred and place back in soup. Lime on top brightens up the flavors of the soup. Optional toppings are avocado, sour cream, shredded cheese and cilantro. Enjoy! !